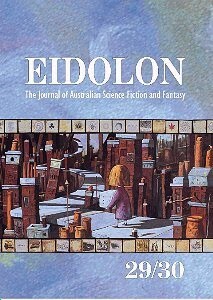 In 2000, the Australian speculative fiction writer Sean Williams published in Eidolon. The Journal of Australian Science Fiction and Fantasy, Vol.7, No.2 (No.29/30) the story he had written too late for the 1998 Aurealis Republic issue. One of the Australian colonies wants to secede from the motherland and its envoy has to jump through several increasingly strange hoops to do it. 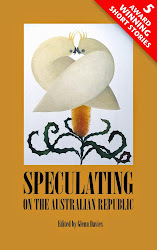 He follows this up in 2005 with his second novel, The Resurrected Man which is set in a future Australia (2069) that was part of the United Republics of Australia in which ‘Old Stott-Despoja’ had just been voted in for another term. Dr Glenn Davies is a teacher, author, republican activist, and historian. In any spare time, which seems increasingly rare, he is an occasional science fiction writer and reviewer, and has been an Aurealis Award Short Story Judge. He believes strongly in the epithet ‘publish or perish’ – no matter how constant and demanding the teaching load, it is vital, as historians, to be writing.